Vaaralen system, Black Rise region. On the 24th of April at 16:30 EVE Standard Time, a Shadow Cartel [SHDWC] titan and two supercarriers were destroyed by Snuffed Out [B B C] forces in what turned out to be a shocking act of betrayal. Snuffed Out and Shadow Cartel are considered the two super powers of low security space, often intervening in the wars fought in the backwater regions of empire controlled territory. As such, the two garnered quite a reputation and inevitably clashed head on in numerous occasions. The two entities have warred with each other for a long time, with the zenith of their conflict seen in a series of battles collectively known as the “Placid War” where the two alliances clashed in spectacular battles over the valuable moons of the Placid region. However, with the Imperium’s ill-fated invasion of low security space as part of the now-infamous “viceroyalty” program, the two put aside their differences and collaborated in what was the first instance of an all-encompassing coalition made of residents of low security space and the Syndicate region, nicknamed “Low Sec Voltron” (LSV). What most considered to be merely a fantasy or wishful thinking became reality as this coalition battled the Imperium to a standstill, supported by entities such as Therabois, Pandemic Legion [-10.0] and Northern Coalition. [NC]. The campaign waged against Imperium forces was a long and brutal 3 month affair with the victory achieved at Hakonen considered by many as the final blow to the aspirations of The Mittani, revealing the weakness of the Imperium to all and signaling the start of the largest invasion seen in the history of New Eden as capsuleers from across the universe joined in to topple the self-proclaimed “Eternal Empire”. Yet, with the war seemingly won and Imperium forces trapped in the Saranen system of the Lonetrek region, divisions started flaring up again among the members of the LSV. Created as an alliance of necessity, with the threat of the Imperium removed and allied forces taking charge of the task of keeping the remnants of the Imperium in check, the LSV had lost its purpose. As LSV forces started to depart the frontline, divisions between the allies opened up. Snuffed Out in particular had chaffed under the need to keep a long list of allies, stifling content in its native region. Many of its pilots grumbled over the lack of meaningful content, especially considering most worthwhile opponents were now their allies. What’s more, the long standing feud between the Snuffed Out and Shadow Cartel’s leadership had flared up again, as the former found it increasingly difficult to work with the latter. As time passed, the growing frustration lent itself to anger and outright hostility. Finally, things came to a head on the 24th of April. The incident that followed was neither planned nor well thought out. A Shadow Cartel titan and two supercarriers were traveling from the X-7OMU system in the Pure Blind region back to Shadow Cartel’s staging in low security space. In order to burn off their jump fatigue and wait for their capacitors to regenerate, the Shadow Cartel super capitals asked and were granted permission to park in one of Snuffed Out’s towers in the Vaaralen system. Only a day before a much bigger super capital force belonging to Shadow Cartel had done the same without an incident. That was then. By now, the frustration and anger in the Snuffed Out leadership over the perceived arrogance of Shadow Cartel had reached a boiling point. With a Snuffed Out Machariel battleship fleet organized to engage militia targets and the Shadow Cartel super capitals parked in a Snuffed Out tower in range of Snuffed Out’s own staging system, the opportunity presented by the shiny allies was too great to pass up. The fleet was quickly diverted and a director was called to lower the shields as a cynosural beacon was moved to the system to bridge in the sub capital fleet. The unsuspecting Shadow Cartel super capitals were caught by surprise as the tower’s shields suddenly disappeared and a cynosural beacon was lit 50 kilometers away, letting the Snuffed Out Machariel fleet bridge in with a host of heavy interdictors. Tackled by those they perceived as allies, the Shadow Cartel super capitals could do very little against the overwhelming force which held them down as Snuffed Out and Project.Mayhem. [16-13] streamed in dreadnoughts and super capitals of its own. One by one, the super capitals were destroyed, with the Shadow Cartel titan managing to fire its doomsday device to claim the life of one Snuffed Out dreadnought as it went down. In mere minutes, the Shadow Cartel super capitals were no more. Battle report for the Vaaralen system can be found here. The reactions following the deed were harsh. Shadow Cartel and other allied entities immediately reset Snuffed Out, while denunciation and criticism was levied at Snuffed Out’s leadership for an act many saw as nothing short of treasonous, let alone cowardly. On forums and reddit, many attacked the alliance and its members. Most shocking of all though, was the reaction of many Snuffed Out pilots who refused to get behind their leadership’s actions, expressing their own dissatisfaction at what they saw as distasteful. Snuffed Out leadership has come out to address some of the criticism, acknowledging the fact the act itself was unjustified and that it had reacted poorly. However, it wasn’t seeking forgiveness or planning to reimburse the Shadow Cartel pilots, instead intending to live with the consequences of its actions and looking forward to once again engaging Shadow Cartel in open warfare. 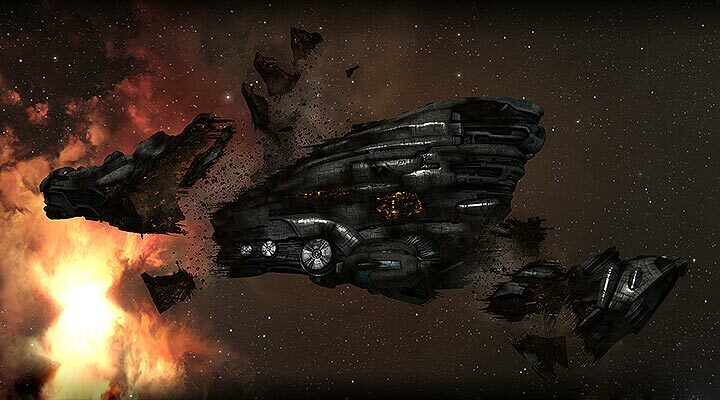 As for the titan and supercarrier pilots, it has been reported that they have been reimbursed by I Want ISK. It remains to be seen what will become of low security space as the old rivalry between Shadow Cartel and Snuffed Out has been reignited in a blaze of supercapital wrecks. Whether Shadow Cartel will seek its vengeance now or wait, what is clear is that trust in Snuffed Out’s leadership had been damaged, perhaps irrevocably. How will that effect the alliance in the future remains to be seen. Respect to website author, some superb selective information. Once I initially commented I clicked the -Notify me when new comments are added- checkbox and now every time a comment is added I get 4 emails with the same comment. Is there any way you can take away me from that service? Thanks! I view something genuinely special in this website . I went over this internet site and I think you have a lot of good info , saved to bookmarks (:. I really like your writing style, excellent information, thankyou for posting : D.
I enjoy the efforts you have put in this, thankyou for all the great blog posts. The other day, while I was at work, my cousin stole my apple ipad and tested to see if it can survive a thirty foot drop, just so she can be a youtube sensation. My apple ipad is now broken and she has 83 views. I know this is totally off topic but I had to share it with someone! Woah! I’m really digging the template/theme of this site. It’s simple, yet effective. A lot of times it’s very difficult to get that “perfect balance” between usability and visual appearance. I must say that you’ve done a amazing job with this. In addition, the blog loads super quick for me on Internet explorer. Outstanding Blog! I enjoy what you guys are usually up too. This type of clever work and exposure! Keep up the very good works guys I’ve you guys to our blogroll. Hello very nice website!! Guy .. Excellent .. Wonderful .. I’ll bookmark your blog and take the feeds additionallyKI am satisfied to find numerous useful information right here in the publish, we need develop extra strategies in this regard, thank you for sharing. . . . . .
Just a smiling visitor here to share the love (:, btw outstanding style and design . Howdy! I’m at work browsing your blog from my new iphone 3gs! Just wanted to say I love reading your blog and look forward to all your posts! Carry on the excellent work! An outstanding share! I have just forwarded this onto a co-worker who had been doing a little research on this. And he in fact bought me lunch due to the fact that I stumbled upon it for him… lol. So allow me to reword this…. Thanks for the meal!! But yeah, thanks for spending some time to discuss this subject here on your website. You have mentioned very interesting details ! ps nice website . Good ?V I should definitely pronounce, impressed with your web site. I had no trouble navigating through all the tabs and related info ended up being truly easy to do to access. I recently found what I hoped for before you know it in the least. Reasonably unusual. Is likely to appreciate it for those who add forums or anything, web site theme . a tones way for your customer to communicate. Nice task..
Real instructive and good complex body part of written content, now that’s user friendly (:. Hello there, There’s no doubt that your blog could possibly be having internet browser compatibility issues. Whenever I look at your web site in Safari, it looks fine but when opening in Internet Explorer, it’s got some overlapping issues. I merely wanted to give you a quick heads up! Other than that, great site! Some genuinely interesting info , well written and broadly speaking user friendly. Hello there! I know this is somewhat off topic but I was wondering if you knew where I could find a captcha plugin for my comment form? I’m using the same blog platform as yours and I’m having trouble finding one? Thanks a lot! Very nice write-up. I absolutely appreciate this website. Stick with it! Hello would you mind sharing which blog platform you’re working with? I’m going to start my own blog soon but I’m having a tough time selecting between BlogEngine/Wordpress/B2evolution and Drupal. The reason I ask is because your layout seems different then most blogs and I’m looking for something unique. P.S Apologies for getting off-topic but I had to ask! I like this post, enjoyed this one thanks for putting up. “Fear not for the future, weep not for the past.” by Percy Bysshe Shelley. You actually make it seem so easy with your presentation but I find this topic to be really something that I think I would never understand. It seems too complicated and very broad for me. I am looking forward for your next post, I’ll try to get the hang of it! I will immediately clutch your rss feed as I can not find your e-mail subscription hyperlink or newsletter service. Do you have any? Please let me recognize in order that I could subscribe. Thanks. It’s in reality a nice and useful piece of information. I’m happy that you shared this helpful information with us. Please keep us informed like this. Thanks for sharing. I genuinely treasure your piece of work, Great post. Leave a Reply to Read more Click here to cancel reply.